For any given word, we add each letter (non accented, just the simple English alphabet 26 characters) where the value of each is its position, A=1, B=2, and so on up to Z=26. Next we iterate through each letter in the word and add its value to the total. It’s that simple really. The first thing we need is to create an table of values, which is a Dictionary. Generally developers create a literal dictionary by actually typing in the code for each of the 26 characters or creating a string containing all of the 26 characters and then splitting them and transforming them into a dictionary. That would be easy but it would not be the right way to create a dynamic table. If it did exist, then getting the index of the character would give us the value and that’s all that we would have needed. However, that is not how things are and we cannot use this. However we can use numeric ranges. We know (if you didn’t now you do) that the lower case ‘a’ has the ascii value of 97 and lower case ‘z’ has a value of 122. So we could use the range 97…122 to generate our list. With languages like Basic it was easy to simply use the functions ASC or CHR to get the ascii value or the character. Swift has something similar but in a little complicated way. We have Strings, then we have Characters and then there are Scalar values because you cannot initialise a Character with an integer value like let char = Character(97) It will result in an error as it requires a scalar value. What we get is lowercase a to z printed out onto the console. With the code above, we an easily generate our table (i.e. Dictionary) so that when we try to find the value instead of using indexOf we can simply use the letter to get the value associated with that key. This is easy as, all we need is a way to loop though all the letters and sum their values. Instead, you could use a default value using the nil coalescing operator. In fact this is even proposed in the compiler fixes fix-it messages. Though this cannot be used in all cases and a better way would be to use the if let or the guard option. There is an additional line here that we did not use earlier, all it does is remove all hypens for hypenated words like “stand-up” and convert all words into lowercase so that the code does not crash. The chances are that you would run this code either on a Unix Box or a Mac OS X, and in either case there is a special file that can be found in the location /usr/share/dict/words this contains a list of English words. A take away challenge is to read all the words and using the getTotal function print all words that total up to 100. It will ignore the characters that are not between a and z. 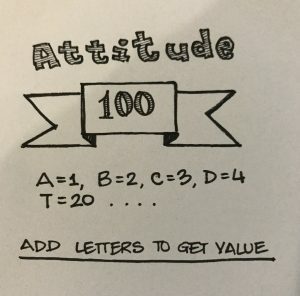 Posted in Article, puzzle, Tip, Tutorial.